An unbroken circle unites the pieces of this letterpress suite. 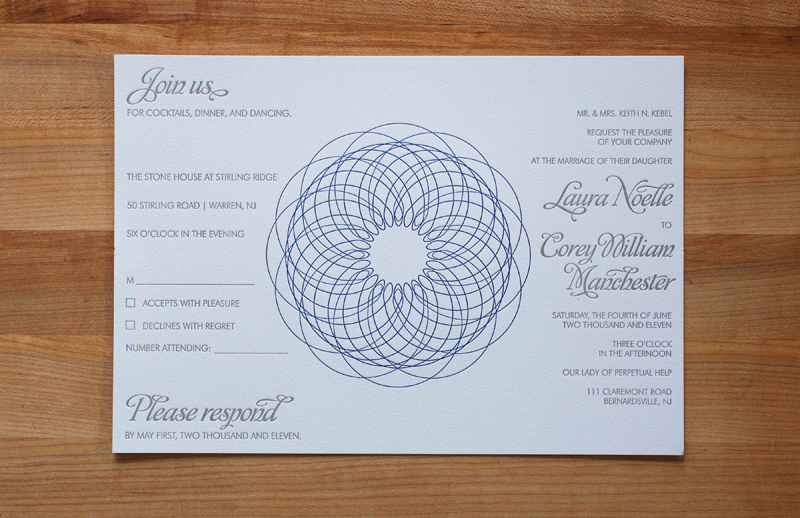 The invitation is mounted on rich navy linen cardstock, and the suite is complemented by a printed pattern band. The set also includes envelopes printed with addresses and a directions card.